College students may never think about investing. After all, they often have busy schedules, social lives, and very little cash to spare. However, despite those pressures, college students have an asset that they can’t afford to ignore: Time. If you’re like most college students, you are relatively young and most of your life lies in front of you. In other words, you have a fantastic opportunity to learn about investing and start building a financially secure future. By getting started now, you can get the hang of it and start building wealth sooner than you might otherwise expect. 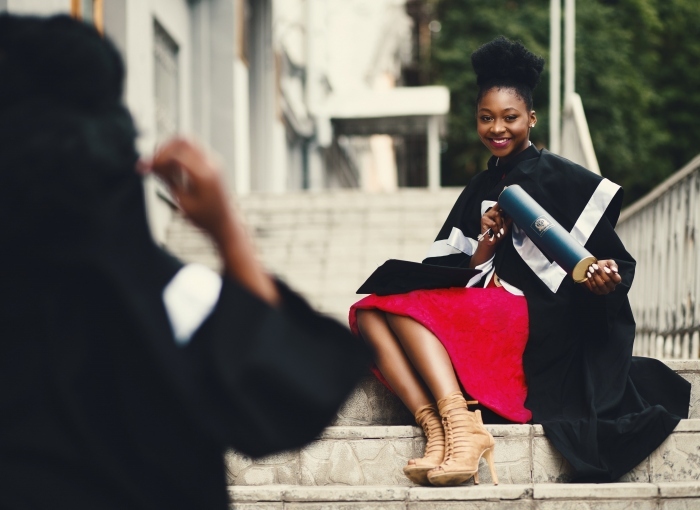 If you like the idea of getting a head start on your future, then you can benefit from learning the following important investing tips for college students. You can learn a lot about financial markets and investment strategies without any formal training. Build a reading list that features reputable industry publications and websites. Also, make a habit of staying in touch with the financial news. Pay special attention to books and websites that tell you how to analyze and choose investments. After a while, you will start to understand the “pros” and “cons” of many investment strategies. For instance, you’ll learn how to interpret charts. Try one of the many software programs on the market that help with stock analysis. Similarly, get a ticker for your phone and computer and then build watch lists and monitor their performance. Before investing real money, you should sign up for an investment simulator. These online tools are often free and offer a chance to practice investing without risking real money. By immersing yourself in the financial world, investing will soon become your second nature. Before investing, you need to understand money. So, get a job while you’re in college to get hands-on experience with how money works. Keep an eye on how much of your paycheck goes to taxes and learn to budget your take-home pay. Spend time calculating how long you would have to work to earn a particular amount. This exercise will help you set and prioritize your financial goals and develop a strategy for saving and investing a portion of your income. Next, prioritize your objectives to get the most benefit from your money. Begin by comparing the interest you pay on debts with the yield of potential investments. If you pay high-interest rates on a credit card or loan, paying off debt is like getting a guaranteed high rate of return. On the other hand, you may find investments that pay a higher rate of return than the interest you pay on your debt. In such a case, you would benefit by investing your money while making minimum payments on your loans. At first, you might think that all brokerages are equal. They’re not. Usually, they differ based on the cost of trades, other fees, minimum deposits required, available research tools, and their level of customer service. Understandably, you will probably want to consider the brokerages that advertise on radio and television. Seasoned investors and college finance professors can also give you their recommendations for choosing a brokerage. For the most part, a “discount” brokerage will make sense for you. These usually allow you to open an account with a relatively small amount of money. Furthermore, such firms charge low commissions that help you maximize the use of your funds. Many companies give you a chance to buy their stock directly from them. Doing this usually involves a small minus investment and low fees. If you find a company you like, find out if they have a recurring investment plan that adds shares to your portfolio every month. Where do you want to invest your money? To answer this question, write down your long and short-term goals. Also, decide how long you think you can afford to let your money work. If you think you’ll need to access your funds within a few years, consider highly liquid investments such as money market accounts and certificates of deposit. Meanwhile, if you aim to augment your income, consider investing in bonds and dividend-paying stocks. Try diversifying your investments by making a variety of long and short-term investments. In addition to time, diversification can also involve managing risk. Generally speaking, a correlation exists between risk and return. You can make more money in less time by choosing a risky investment, but you could lose everything if something goes wrong. So, balance your high-risk, high-yield investments with stable options that pay a lower rate of return. Start investing right now. Even a little bit of money invested every month can become substantial over time. By adding your gains to your principal, you will enjoy the “magic” of compound interest that will cause your balances to accelerate over time. If you make mistakes, now is the best time. If you lose money now, while you have small amounts at stake, you have time to recover. Consider every experience as a stepping stone to peace-of-mind and a financially secure future. In conclusion, despite your hectic life as a college student, now is the best time to learn about investing. Get experience with earning and managing money. Assess your needs, set goals, and take risks. With a little effort, you can expect to have a wonderful, prosperous life. Previous Article How To Become A Financial Advisor? Next Article How to Protect Yourself from Credit Card Fraud?